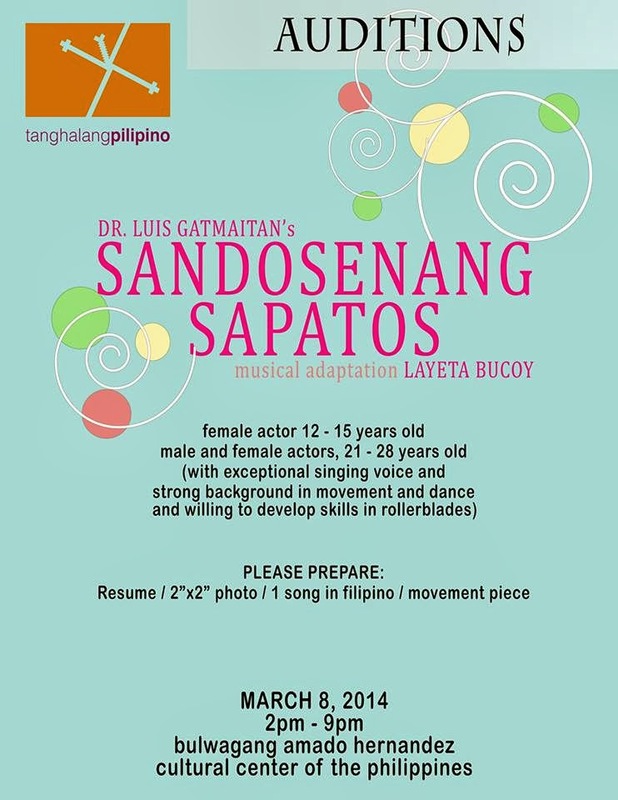 Tanghalang Pilipino holds another audition for the musical, Sandosenang Sapatos on March 8, 2014, 2-9pm at Bulwagang Amado Hernandez, Cultural Center of the Philippines. The theater group launched its 27th Season on June 18, 2013 with Sandosenang Sapatos, a musical based on the children's book of the same title authored by Dr. Luis Gatmaitan. The musical had two runs in 2013 at the CCP: July 13-21 & December 7-15.